Cisco provides a variety of Gigabit Switch Routers, and the 1200 series is a perfect solution when it comes to building out new services, reducing capital requirements and building a more intelligent, modular architecture on an enterprise network. Cisco GSR12000 router models offer the ability to scale from roughly 2.5-Gbps to n x 10-Gbps capacity per slot, making them a smart match for carrier-grade IP and MPLS networks. 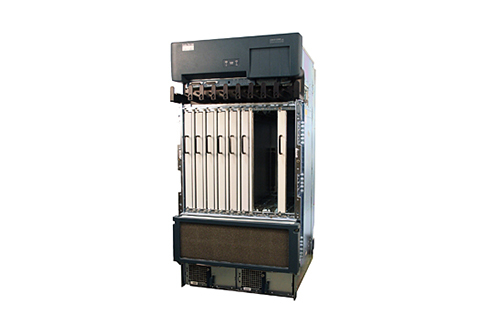 Whether your support tends to long-haul and regional core needs, peering, ATM or frame relay transport services or even optical private line integration, the 12000 series has you covered. Worldwide Supply offers a full stock of refurbished, like-new Cisco GSR 12000 routers. Our expert technicians are certified to bring all of the used equipment we stock back up to original OEM standards, ensuring you get the network improvements you need at an affordable rate. Top routing performance, QoS and reliability through advanced silicon. Upgradeable modular switch fabric to help scale and reduce total cost of ownership over the course of its life. High-availability support to manage downtime, planned or otherwise. Core and edge feature set integrations that are adaptable to enterprise- and consumer-facing services. I-Flex design with shared adapters and interface processors that improve service quality for data, video and voice. Plus, you get Worldwide Supply’s leading lifetime warranty for all used and refurbished Cisco GSR1200 equipment — and other OEM networking equipment that we offer. Concatenated OC48 with Extended Features Long R.